Best seller food Carts of all time in our company. Filipinos love the idea of ''sale''. 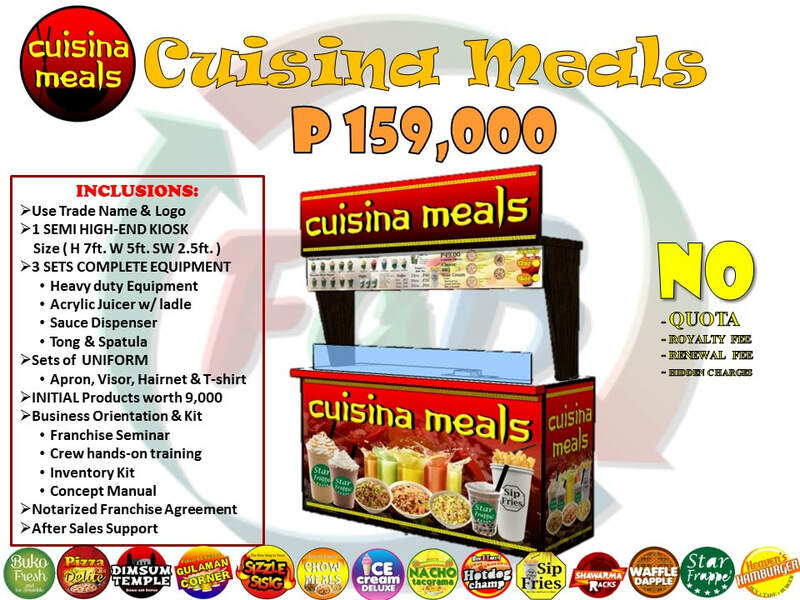 Cusina Meals is a combination package of 3 concept in 1 cart. One or two concepts must be a rice product. This package is much cheaper than availing 3 separate carts and very flexible in terms of products for combination.